Local Search Engine Tips for Small Businesses | what is Local Search? This post will attempt to introduce business owners to the benefits of local search to small business owners. It also, provides tips and guidance on how you can optimize your local business listings to improve your local search results in the major search engines such as Google, Yahoo or Bing. Local search is the process of logging onto the Internet and using a search engine such as Google, Yahoo or Bing to locate a product or service that is located as close to where you live as possible or a distance of your choosing. Local search has come a long way since the early 2000’s and continues to gain momentum because of mobile phones. Today, searchers have a number of options at their disposal, including sources like Google, local directories, Yellow Page and now several installed apps. As a Small Business Owner Why Should I Care? You should care because this type of search is performed by someone who intends to make a purchase in their own local area, possibly your business. I like to call this type of search an online search with an offline intention to buy local. Research by The Kelsey Group and ConStat shows that 70% of U.S. households will use the Internet to shop locally for products and services. Also, Based on a report from the Kelsey Group, 74 percent of Internet users perform local searches and this number is expected to grow. This clearly indicates that there is a huge opportunity to generate additional revenue as a result of optimizing for local search. Let me ask you a question… Do you care now? Don’t I Need a Website to be Listed on the Search Engines? Long answer: A lot of small businesses are not focused on local search because they don’t have a website. You do not need a website in order to be listed on the Internet. I want to let you in on a little secret, if you have a physical location to list as your business’s base of operation you can be a part of Google’s local search. Much of what you need to improve local search is already available on the Internet. It’s essentially the Yellow pages for the search engines. How Do I Get a Local Listing? You are probably already included in some search engine’s listing and don’t know it, because the local search engines create local listings for you whether the information they obtain is correct or not. For instance, Google actually maintains a database (they won’t call it that) listing of each company by things such as city, state, zip code, phone number, etc. Now there are other fields in the database but these drive much of local search. They have either used a data aggregator such as InfoUSA or Acxiom to get your information or they may have used an off-shore group to scan through local data to come up with a listing for you an other small businesses. The quickest way to get started is to check the major search engines to see if your business is listed in their local listing guides. Should you find your listing, work with the listing owner to ensure that your data is accurate. Step 1 – Claim and verify your business listing on all the major search engines. 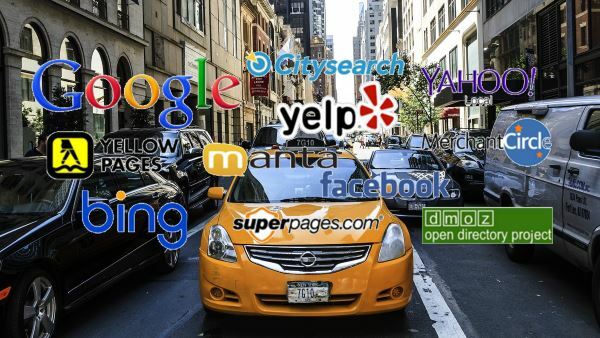 – I would start with Google, Yahoo, Bing, Yelp, CitySearch. This prevents your listing from being hi-jacked by someone else pretending they are you, from capitalizing off of any traffic that might generated by your listing. You can find each major search engine’s local search section by, you guessed it… By typing their name and the phrase “local search” in the search field. Step 2 – Make sure business listing is consistent across all the search engines and directories. – At the very least ensure that you have uniform NAP. This is industry speak for: Name, Address, Phone number. This makes it easier for the search engines to index (list) your business location(s). This also reduces the chance of your business listing appearing multiple times. Duplicates have a tendency to confused the search engines and searchers looking for your product or service. Step 3 – Associate your business listing with proper categories. – Search engines usually allow you to place your listing in a product or service category to identify the basic purpose of your business. Spend some time researching the various categories available to you and then pick the one that closely matches your type of business. Many search experts suggest that you use at least one general or default category and also try to assign another category that is more detailed, sort a drill-down category if possible. Step 4 – Make sure that you place your Product/service keyword in your business listing title. – When you view Search engine results the first line (the link showing in blue) that is displayed is usually the title page of the website. Most search engines will allow anywhere from 50 to 60 characters on that line. Local listings work in the same way, so make sure you use as much of those characters as possible to include (keywords) phrases that relate to your type of business. Step 5 – Make sure to include any business awards, customer ratings/reviews and sponsorships that you were involved in on every listing you can. – I have read that as few as 3 reviews can get you a higher ranking, so encourage your customers to provide feedback about your service via your listing’s feedback section. A word of caution do not try to fabricate these items. This is considered a violation of the search engine guidelines. If you are caught this could get you banned from the search engines all together. Step 6 – Further Optimize your listing – This is done by including photos or videos about your business, products or services. Step 7 – Have patience – Local business owners need to realize that this is not an overnight project, it is on-going and takes some time. But it is time well spent and will pay you back in the form of new leads and hopefully sales. If you own a business, any business, any service… There is absolutely no reason (I can think of) why you shouldn’t be involved in local search.